Ms. Gunderson is a managing principal and member of the Investment Committee for CarVal Investors, responsible for leading the firm’s investment strategy and management, as well as its global loan portfolios and real estate businesses. In addition, Ms. Gunderson manages investments in asset-backed securities globally, including residential mortgage-backed securities, commercial mortgage-backed securities and collateralized loan obligations. 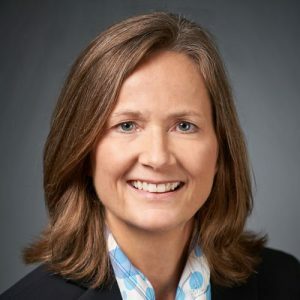 Prior to joining CarVal in 1994, Ms. Gunderson was a manager in the financial services practice of PricewaterhouseCoopers where she served investment fund, commercial banking and thrift clients. Ms. Gunderson earned her B.S. degree in business from the University of Minnesota and is a Certified Public Accountant (inactive).